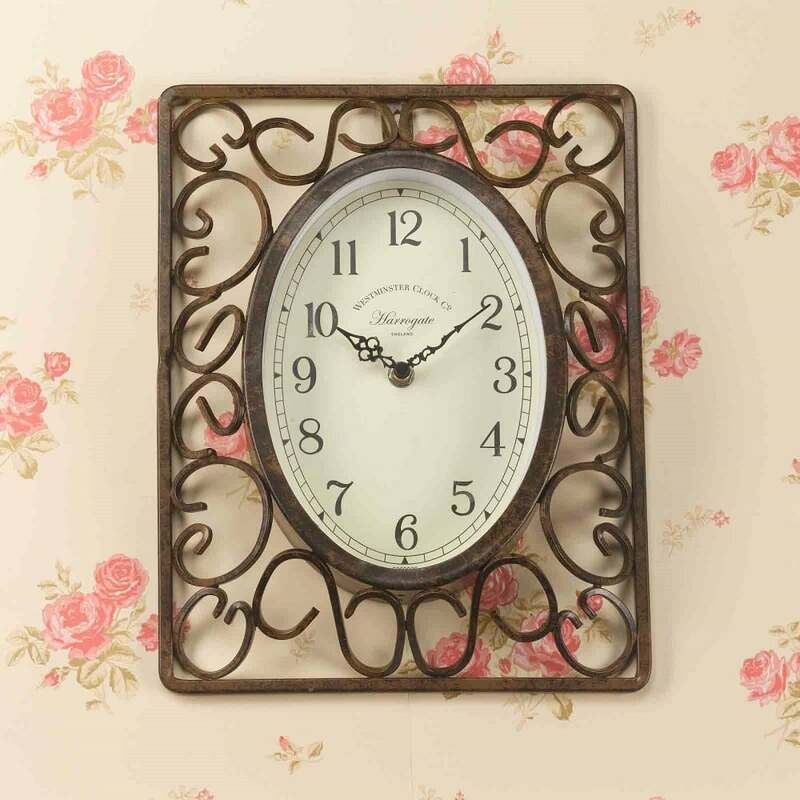 This classic designed Harrogate wall clock from Ruddick Garden Gifts has a decorative metal frame with rust effect finish. This clock is fully weather resistant and would look good either inside or outside the home. 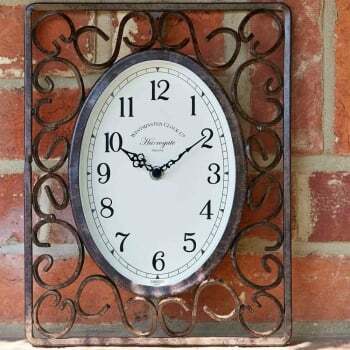 The clock requires 1 AA battery (not included) and comes already gift boxed.